Made from ultra-lightweight high-grade titanium, which will lower the overall weight of the car and improve handling. 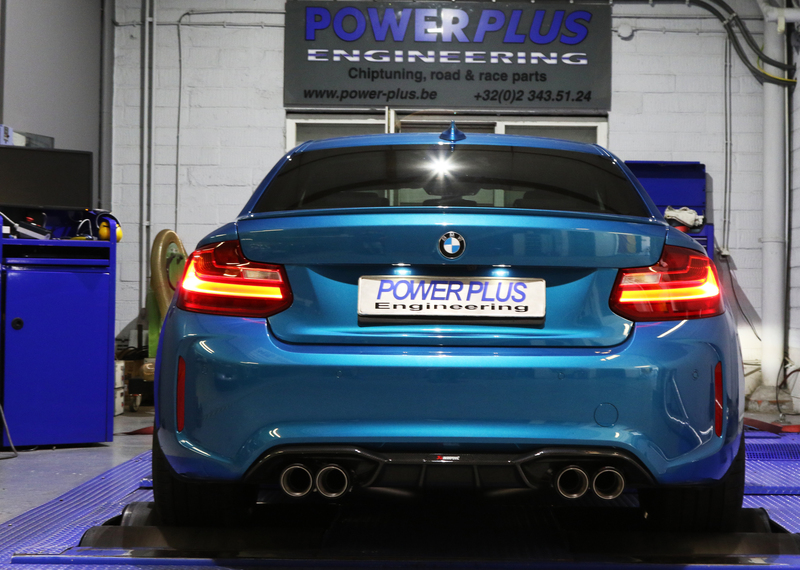 This perfectly finished ECE-approved system has been tuned to get the most from the TwinPower Turbo six-cylinder engine of the M2 and is designed to deliver more power all the way across the rev range. This new system features two separate tubes from the downpipe to the muffler – unlike the car’s original single-tube configuration. It is perfectly routed and shaped to provide optimum gas flow from the M2’s stunning engine and deliver a noticeable performance increase. Thesound has also been enhanced by Akrapovič’s engineers; the unique external sound is higher in pitch, giving a true racing feel in the upper rpm range. The Evolution Line is perfect for everyday use, with low-rpm driving smooth and refined, but still showing the true potential of the system – and, when higher revs are hit and the valves are permanently open, the sound has an addictive racing tone. 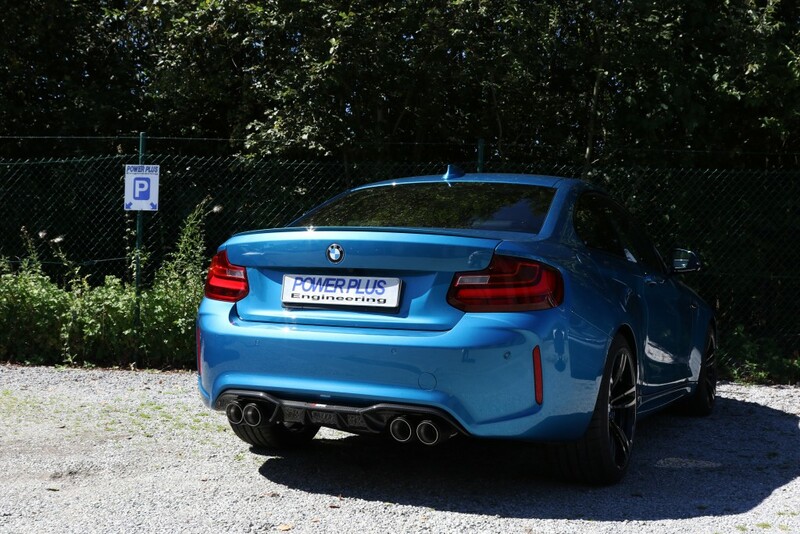 A simple plug-and-playsystem offers a superb addition to improve the performance of the BMW M2. 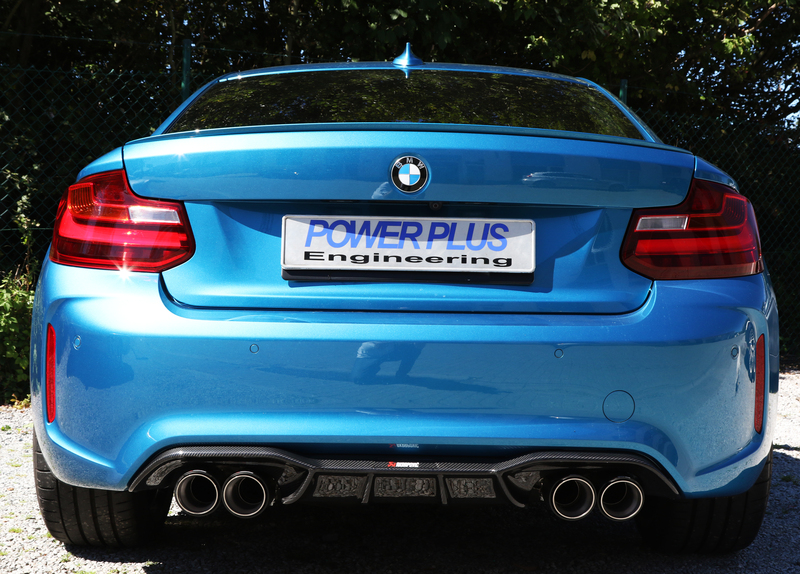 Carbon-fibre tailpipes give an added look to the rear of the M2, to display its sporting potential. Performance can be further increased with the addition of the optional downpipes, which can be purchased with or without cats. To set off the system to its visual best, optional parts are also available.